Any outdoorsman, sportsman, or anyone who enjoys fishing would love to display this Bass fish Christmas ornament on their Christmas tree for the holidays. This Bass fishing ornament may even spark up some conversation of some fishing stories during family and friends gatherings.. 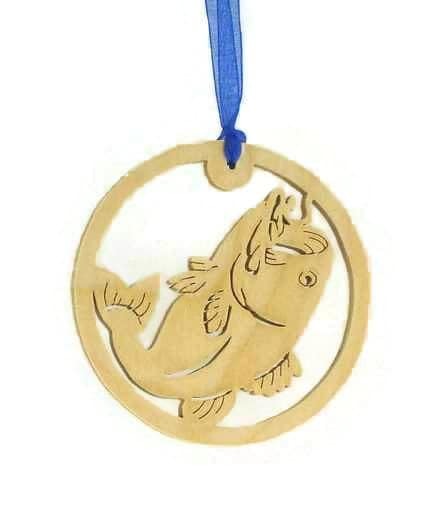 This Bass Christmas ornament features a scene of a Bass being caught, all encased into a circular shape. 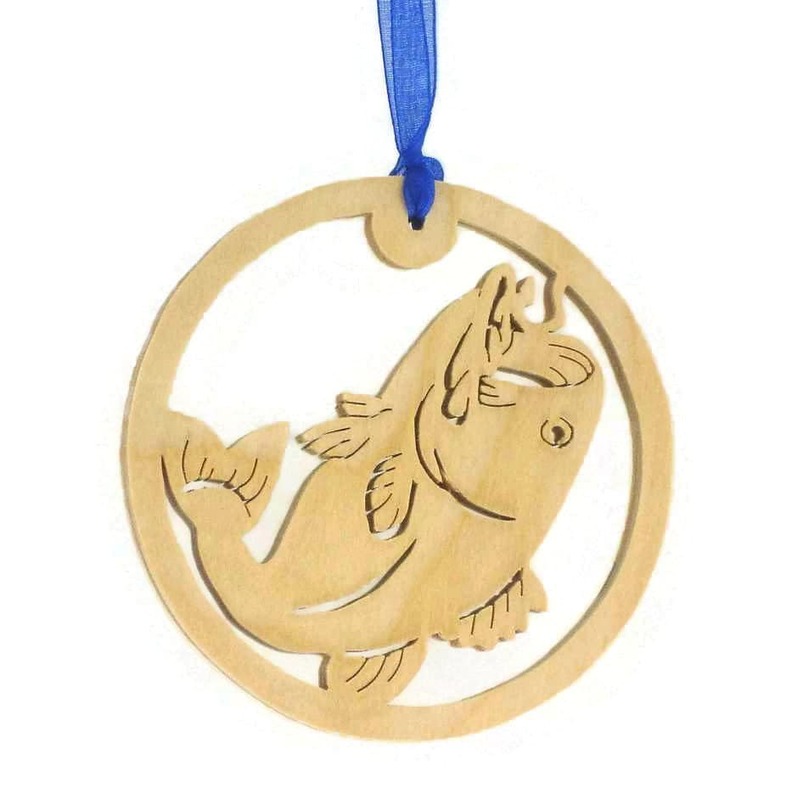 This is made from 1/4" thick Birch plywood. 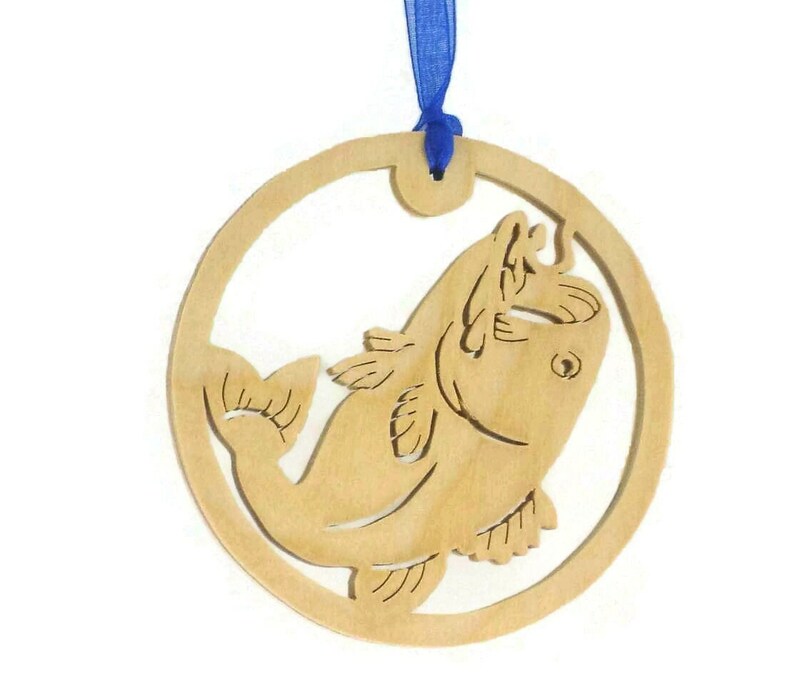 A natural color Danish oil finish was applied to this to bring out the natural colors of the wood as well as to protect the natural beauty of this nature ornament for many years of holiday displays. A ( various colored ) fabric ribbon is attached for ease of hang this on your Christmas tree. Arrived on time and packaged well. Great craftsmanship!